Currently there is an initiative driving throughout Europe…the development of a new united European dynamic with special space for the youth of Europe today. A Festi-Forum called EuroPie is in the process of construction hoping to contribute to this momentous help for future challenges. 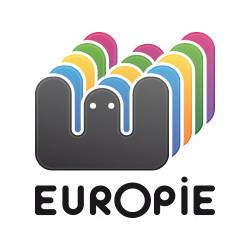 The idea behind the EuroPie event is to create an informal space, politically charged, but mixed with creativity that can help provide the beginnings of more connectivity amoung the youth of Europe. Solution based discussions mixed with creative expression can allow for perhaps a more unified space for young people to exist in the continent. The logic is to merge formal and informal together- a forum filled with debate, discussion, and presentations; with a festival filled with art, music and creative expression. This event will also help us, the youth of Europe, to bring the local issues that affect us, to the forefront of a European audience. From the Organisations’ perspective this event would be a great opportunity to lead/ participate in activities, as many Organisations no matter how local are linked to European themes and concepts. This can help an Organisation network and build their profile in an atmosphere where many European nations, cultures and identities will be represented. However this process cannot happen without the help and contributions of Organisations and people from all over Europe. Currently we are concentrating on setting up partner communication in all various countries with differing Organisations who we think may be interested in perhaps attending/ contributing/ or participating in the event. We are also looking for partners to help organise with us the EuroPie Festi-Forum. Distributing the information throughout your networks will really help build the momentum for this event. We are hoping to find motivated young people to help work with us on a variety of tasks within their own countries to become partners with us in helping to build momentum for the mobilisation process in their country.